Paul Brown (B.S. ISE 1984) will offer his thoughts on how he leveraged his Industrial & Systems Engineering degree from the University of Florida to find balance and success in life and career at a leading Fortune 500 company, where he led businesses throughout the U.S., Europe, China and India. Paul will share the simple lessons in life and business he’s learned over the course of his career including the importance of developing a winning leadership style. This has included demonstrating balanced business, people and technical skills, taking risks, collaborating broadly, accepting accountability, exhibiting transparency, influencing peers and knowing when to ask for help. Paul will also share his thoughts about working and living internationally in the rapidly changing global economy. 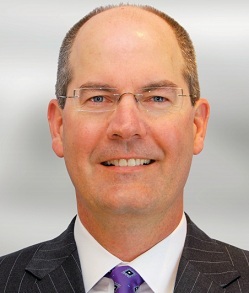 Paul Brown is a senior executive with International Paper (IP), the world’s largest paper and packaging company, with operations in 25 countries. Paul joined IP in 1984 and has held various engineering, manufacturing, sales, supply chain, general management and vice president positions – in the United States, Europe, the Middle East, Africa, and Asia. He is currently based in New York City. Recently, Paul served as president of International Paper India, and executive chairman and CEO of Andhra Pradesh Paper Mills. Prior to these positions, Paul was president of International Paper Asia, in Shanghai. He also served as vice chairman of the IP-Sun Paper joint venture in Yanzhou, China and as chairman of the IP-Goldhawk joint venture in Beijing. Paul earned his B.S. in industrial and systems engineering, with honors, from the University of Florida in 1984, and an M.B.A. from Drexel University in Philadelphia in 1989. During his undergraduate years, he served as president of Tau Beta Pi, president of Alpha Pi Mu, and as student representative on the Dean of the College of Engineering Advisory Council. Paul is married to Heidi Ann (Shreves) Brown, who graduated from UF with a B.S. in industrial and systems engineering in 1983. They have two children. Paul’s talk will take place Wednesday, April 24, 2013 at 3:00PM in Room 282 of the J. Wayne Reitz Union.